Canara is one of the oldest banks in India. According to latest data, the bank had over 5860 branches and 10000 ATM's all across in India. The bank offers internet banking facility to their users. If you have activated net banking service, then you can use this service to transfer money from canara to others banks in India. 1. First open official Canara net banking website -> https://netbanking.canarabank.in/entry/ENULogin.jsp in order login online. 2. Now enter your "User ID" and "Password", then click 'sign-in' button. 3. From dashboard, click "payments" from menu and then open "transfers" from sidebar. 4. Next click 'beneficiary maintenance' from sidebar. Then select "NEFT/IMPS" in transaction type* and finally click 'create beneficiary template'. 5. Now its time to fill beneficiary details. First enter beneficiary id, it can be any name or numeric value. Also fill other details like beneficiary name, beneficiary email, beneficiary account number, IFSC code and finally click the 'add' button. 6. Next you have to verify the beneficiary details that you have filled in form. Just click on 'confirm' button to verify it. 7. Now you need to authorize ongoing transaction by entering 'transaction password' and 'OTP password' sent to your registered mobile number. 8. Finally click on 'submit' button, new beneficiary will be added successfully. The moment I add beneficiary no otp has come to my regd password instead it is asking me to generate transaction pw.who so. can anyone guide me. Could you able to add beneficiary details by NEFT ? This was a very good guide which will help people to add the beneficiary and transfer the money from their bank account to the beneficiary account. 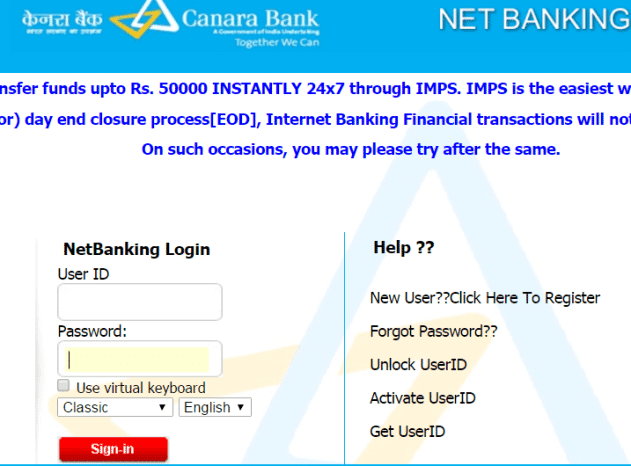 What is process for canara bank imps registration. 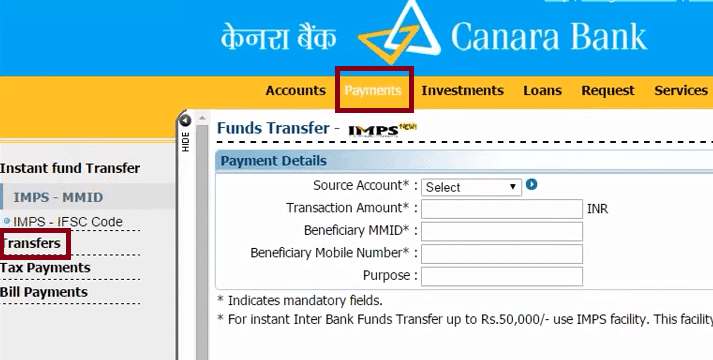 what is beneficiary id in canara net banking?